A lawyer, by definition, is someone who is trained in the field of law and provides advice and aid on legal matters. Working as a lawyer involves the practical application of abstract legal theories and knowledge to solve specific and individualized problems or to advance the interests of those who hire lawyers to perform legal services. 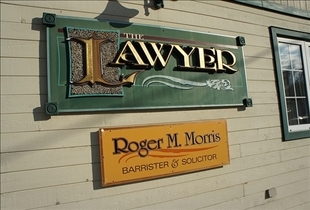 Attorneys have a somewhat similar job but are licensed to practice law within a given geographical jurisdiction. One of the primary responsibilities of an attorney is to be an advocate for the client. There are various different kinds of attorneys and they can broadly be classified as attorneys-general, who serve the government and attorneys-at-law, who are lawyers in certain jurisdictions. An attorney at law must take the law exam just like a person who wants to become a lawyer. Both must take the Law School Admission Test and obtain a degree or diploma in Law. An attorney's job is to communicate ideas, interpret laws, and makes decisions with clarity and precision. He works on behalf of a private entity or serves the government. An attorney also has the power to enforce the laws set by the government, unlike a lawyer whose duty is to plead for the client he represents. He/she can also act as an adviser, which means that the lawyer can be the person who notifies, counsels or givesdirect advice. A lawyer may specialize in a number of areas, including environmental law, corporate law, human rights law, medical law and ethics, intellectual property rights law, etc. When a lawyer starts working for a private firm he is also called an attorney. Some lawyers focus on criminal law where they represent clients who are involved in criminal cases. Other lawyers focus on civil law where they help clients with wills, trusts, contracts, and many other civil matters. 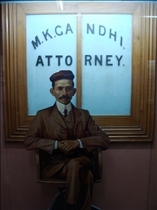 An attorney may also specialize in a given area of law. For example, an attorney may choose to focus on criminal law, while another attorney chooses to build a practice around family law. This degree of specialization helps clients and companies to find specific lawyers who have a solid knowledge that will prove helpful within a given set of circumstances. Most lawyers are self employed or are private practitioners. One must appear for the Law exam, to complete one’s degree in Law and become either a lawyer or attorney depending on the type of practice. Both lawyers and attorneys are legal practitioners but their distinction lies in who they work for and how they practice law. To practice law in the courts of any state or other jurisdiction, a person must be licensed, or admitted to its bar, under the rules established by the jurisdiction’s highest court. All US states require applicants for admission to the bar to pass a written bar examination. Such lawyers are then usually called attorneys in the US. Which one is generally more prestigious? Blue Collar vs. White Collar: What's the difference? World Health Organization vs. National Institutes of Health: How are they different? Yahoo Finance vs. Google Finance: Which is better? Blue Collar vs. White Collar: What's in a Shirt? Liquidity vs. Solvency: Are You Free and Clear of Debt?